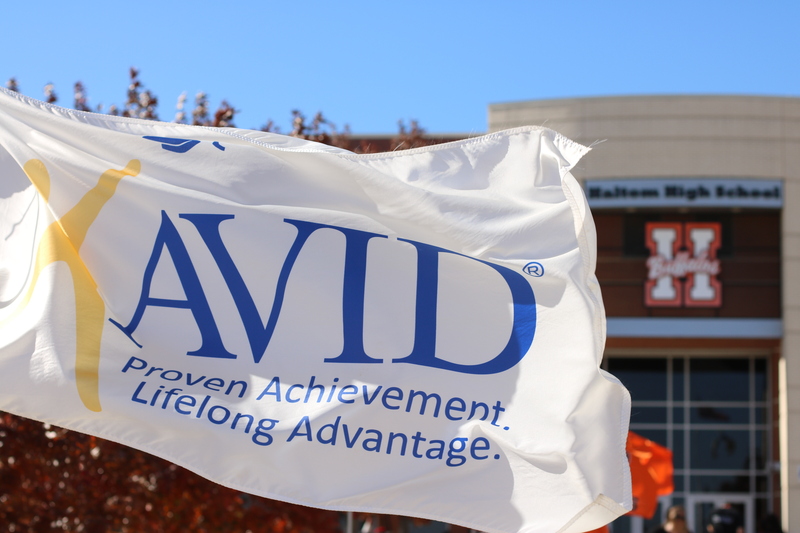 Haltom High School Receives 2018–19 AVID Revalidation | Birdville ISD Blog! Birdville ISD celebrates Haltom High School for being revalidated Thursday, November 29, 2018 as an AVID National Demonstration School. Originally validated in 2015, Haltom has been granted another three-year validation through fall of 2021. AVID National Demonstration Schools are centers of teaching and learning that also serve as models for those interested in the AVID College Readiness System which operates with five core principles–Writing, Inquiry, Collaboration, Organization, and Reading (WICOR). Instructional strategies among these areas are not just visible among the 282 Haltom High School AVID enrolled students, but schoolwide. The Revalidation launched with a leadership team meeting focused on the impact of AVID at Haltom High School and next steps of instructional, systemic, cultural and leadership implementation. Following, classrooms across disciplines and among the AVID elective classes were observed with teachers imbedding engaging strategies. A highlight of the day included a student lunch panel with eight AVID scholars articulating the benefits of AVID. The day concluded in a celebratory reception with trustees, members of the Superintendent’s Cabinet, district leadership, community partners and photography session with all AVID scholars. Haltom High School Leadership: David Hamilton, principal; Brenda Jacks, AVID site coordinator; Clara Campbell and Liz Pena, assistant principals for AVID; Pamela Wright and Jessica Wallace, AVID elective teachers. District Leadership: Dr. Darrell G. Brown, superintendent; Dr. Elizabeth Clark, associate superintendent of curriculum and instruction; Clarence Simmons, executive director of secondary learning; Dr. Julie Hyman, director of gifted & talented and advanced academics; and Ramonda Fields, AVID district director/coordinator of advanced academics. AVID Center Guests and Validation Team: Dr. Mike Mozingo, Southern Region assistant director; Stacie Valdez, project manager of leadership development; and Traci Grove, CA Division program manager.